Ping-Pong, Table Tennis, whatever you want to call it, don’t underestimate the fun to be had! It’s a simple game, with addicting complexities– like golf, actually– only this is a club you can afford to be a part of! 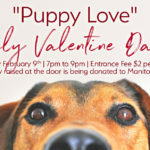 The program will supply tables, a practice robot, paddles and balls (“you break it you buy it” applies– $1.00 per ball), but we encourage participants to bring their own equipment if possible. We will also have video tutorials and instruction for beginners. 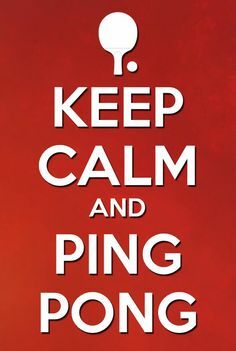 Keep calm and Ping-Pong!